Sometimes, when one single tooth tends to become discolored or stained, it makes you smile uneven. It looks quite odd too. In such cases you can try out tooth whitening treatments that can help you in changing the color of a single tooth. This has now become a very popular treatment that can be done at a dental clinic. With the plethora of tooth whitening procedures and methods available on the market today, whitening has become more accessible than you can even think of. 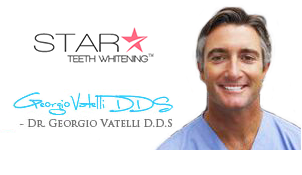 If you have been dreaming of a bright, white smile, you can now get it done for a certain amount of money. Surface stains are easily removed prior to the actual whitening treatment to give you optimum results. It is your dentist who determines whether or not you are a suitable candidate for the tooth whitening treatment. Tooth having some types of restorations like veneers, bonding or white color fillings cannot be considered for whitening with carbamide peroxide or hydrogen peroxide. These materials cannot whiten your restorations and therefore the color that you’ll achieve will not match with your tooth color. Once the surrounding tooth is whitened, the restorations will look out of place. Tooth having internal staining or discoloration or having root canal will not be affected by the whitening effect that you want. In these cases, you can consider permanent restorations or internal tooth whitening for better effect. There are people having naturally gray or brown tooth color. It is not possible to change such tooth color with whitening. Yellow hue is easily treated with tooth whitening methods. Tooth whitening treatments should be avoided by pregnant or lactating mothers. Hyper tooth sensitivity is one major problem with most people; patients with this particular problem cannot opt for tooth whitening since it can further enhance the sensitivity. Our tooth loses its original color due to various factors and one such factor is food. The foods that we eat, particularly dark colored foods, such as cola, caffeine, red wine, dark colored vegetables are all responsible for the loss of tooth color. Other common causes include smoking; nicotine patches appear on each tooth to darken its color even further. Besides these, age also plays an important role. Our tooth loses its color due to age and genetic factors as well. Enamel is the very first layer of our tooth surface, which is semi-translucent or usually clear. The layer beneath the enamel is the dentin, which is typically gray, yellow or brown in color. The color of the dentin actually penetrates through the tooth enamel to produce the effect. For whitening the dentin, it is important to use a bleaching solution like peroxide gel on the tooth enamel. This process helps in opening the pores present in the enamel thereby allowing the bleaching agent to reach the dentin layer. The solution gradually lightens the dentin, resulting in brighter and whiter tooth color. There are different tooth whitening products available on the market today and different brands claiming to give you the best whiteness. In fact, these countless brands have created quite a lot of confusion in the field of cosmetic dentistry. The teeth whitening products have been categorized as professional in-office tooth whitening, professional at-home tooth whitening and other whitening options available over-the-counter. Depending on your budget and time you can spend, you can choose a product that meets your needs. While the in-office tooth whitening treatments are more precise and efficient in bringing about the desired whiteness of your tooth, the take-home tooth whitening systems are more generalized in its approach. The in-office tooth whitening methods use highly concentrated hydrogen peroxide or carbamide peroxide gel for quick results, whilst the take-home treatments use less concentrated gels that produce results only after repeated use. There is a great difference between the prices of both these procedures too. Whilst the take-home teeth whitening systems are moderately prices at $50 to $100 range, the in-office whitening treatments would cost in the range of $500 to $1000. Tooth whitening helps in enhancing one’s overall appearance and hence it is more of an aesthetic concern today. Everyone desires to have a bright white smile and this actually enhances their self-confidence. Tooth whitening treatments not only help in enhancing your smile, but it also helps in minimizing the appearance of wrinkles and fine lines, thereby giving you an energetic and youthful appearance. Tooth whitening also helps in improving your overall oral health as the process involves the removal of cavities and the cleaning of your teeth. Although tooth whitening treatment is considered to be relatively safe, but there are certain side effects of the treatment that cannot be denied. Tooth whitening results in tooth sensitivity. It is one of the most common after effects of whitening treatment. People already having problems with tooth sensitivity must consult their dentist and look for the best options to alleviate the condition. Irritation commonly occurs after whitening treatment if proper precautionary measures are not taken; the gums and the soft tissues can have chemical burns if exposed to the whitening agent. Sometimes the results of tooth whitening aren’t as favorable as expected. While some of the tooth colors might lighten, some others might not. This can lead to an ugly uneven appearance that can be a great setback for the patient. Tooth whitening treatments are good and there’s no doubt about it. However, it is important for patients to have a realistic approach and expectation from the treatment. Whitening results aren’t permanent as well, and certain foods and beverages can quickly cause discoloration once again. Make sure you brush your teeth regularly and visit a dentist for routine cleansing. This is very important for maintaining your dental health.